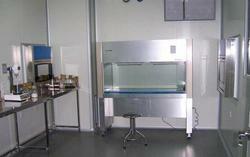 Air Shower is extensively used at the entry side of the clean room or operation theatre . With the help of Air shower the performance and level of cleanliness can be improved. Clean room is used in food industry, hospitals, pharmaceutical industry, etc to maintain hygiene and provide energy efficient environment.